AJA International offers an extensive selection of sputtering targets and evaporation materials to satisfy virtually any requirement. 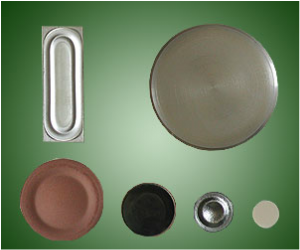 Targets and materials are available in a wide range of materials, sizes and purities. If the materials you are seeking are not listed, please call or email us your requirements as custom projects are our specialty. Looking for a Target or Materials quote? Email us at topgun@ajaint.com or submit your request using our Contact Us request form.